A stroller is one of the most important things you’ll buy for your baby, but even with a proper test drive in the store, it’s hard to anticipate how a stroller will handle real life. Consumer Reports put dozens of strollers through their paces in our labs and in the yard outside our headquarters, to assess which models are easy to use, highly maneuverable, and, of course, safe. Our test engineers start by using each stroller the way a parent would: We adjust the harness, backrest, and wheel brakes, and fold and unfold each model as you would when moving it in and out of a car. We collapse and carry each stroller, too, noting the folded size and weight. We push each stroller through a test course studded with S-curves, and steer it between cones and over obstructions such as grass, mulch, and tree roots. And finally, we assess safety by subjecting each model to standard industry tests and to stability and braking tests designed by CR’s experts. The 80-plus models in our current stroller ratings are divided by category: traditional, combination, umbrella, travel systems, and car seat carriers. 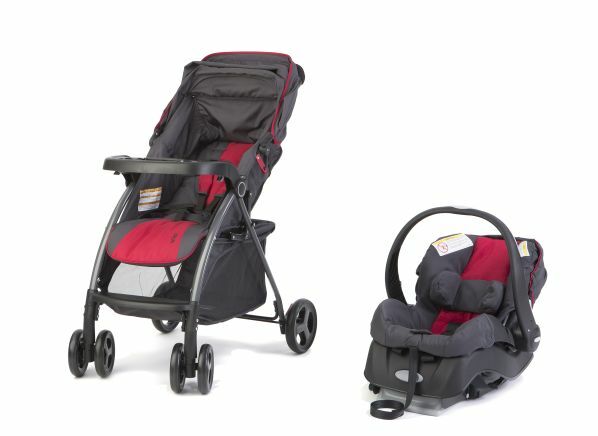 They range in price from less than $100 to more than $1,200, and come from such brands as 4moms, Baby Jogger, Baby Trend, Britax, Bugaboo, Bumbleride, Chicco, Evenflo, Graco, Jane, Joovy, Maclaren, Maxi-Cosi, Mountain Buggy, Peg Perego, Stokke, UPPAbaby, and more. 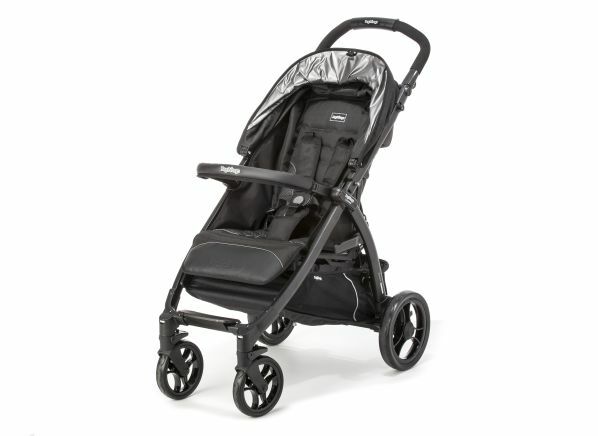 To get a feel for the configuration you want, start with our stroller buying guide. Then read on for the best of the bunch, plus a few that don’t make the cut. CR's take: Simply put, the Peg Perego Booklet is among the best-designed strollers we’ve seen. Every detail, from its easy, one-handed folding mechanism to its nicely padded handle, is well thought through and sure to be appreciated by parents without a free hand to spare. Although it’s a bit bulky, weighing in at 20 pounds, it’s sturdy and maneuvers easily. And this stroller readily accepts Peg Perego infant car seats. CR’s take: The Baby Jogger City Select is a modular stroller that can grow with your child, or your family. The standard stroller is designed for children 6 months and older. But if you purchase an adapter and infant car seat, you can use the combination from birth. Your child can face in either direction—forward or backward—and there’s space to attach a second seat, so it can be used with a baby and a toddler simultaneously—or even a second car seat for kids close in age. 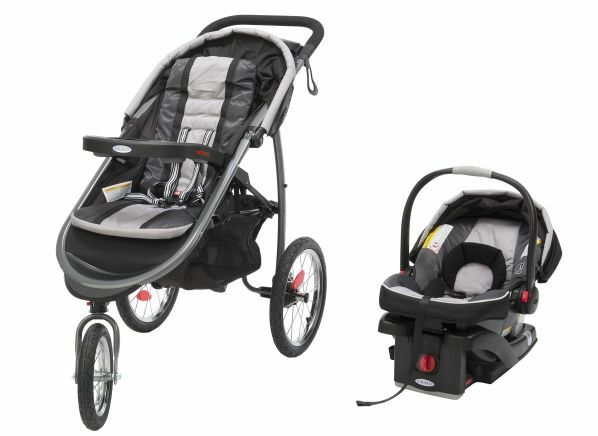 The Baby Jogger City Select is nimble and responsive in our maneuverability tests. At 30 pounds, it’s quite heavy, but that also helps it feel sturdy and securely grounded when in use. CR’s take: An umbrella stroller is a godsend when children are old enough to walk but tire easily or get distracted. They’re slimmer than traditional strollers, which means busy parents can use one to get where they need to be, then collapse it down and let their little one walk when he wants. 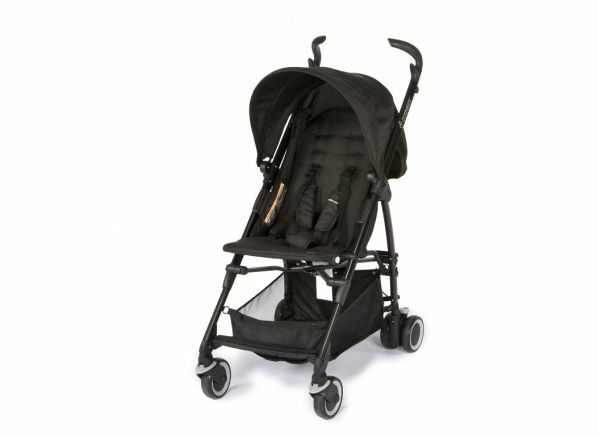 Though it’s heavier than it looks, the 19-pound Maxi-Cosi Kaia collapses easily, handles superbly, and is easy to fold. Plus, it stands on its own when folded—not every model does. You’ll appreciate that when you start taking your child to restaurants or stores and want to stash the stroller in a corner until you leave. CR’s take: An infant car seat carrier offers a lot of advantages for the first 1 to 2 years of your child's life. You don’t have to learn to operate a different set of straps and controls for your stroller and car seat—the car seat effectively becomes the stroller seat when you click the car seat into the carrier base. You can also move a sleeping baby back and forth between the stroller and car seat base, secured in the backseat of your car, without waking her. The Graco Snugrider Elite works with several Graco infant car seats, many of which earn high marks in our car seat ratings, and is easy to maneuver, easy to fold, and stands on its own when collapsed. 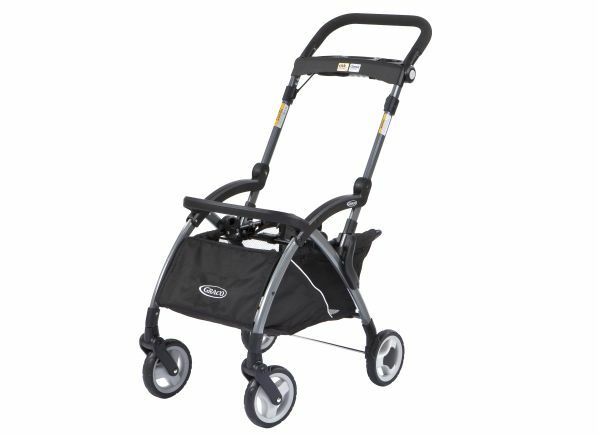 CR’s take: The Graco FastAction Fold Jogger Click Connect is the rare stroller system that offers advantages in town and in the country. Its large wheels make it highly maneuverable over rough terrain like grass and tree roots, but it’s also well-suited for climbing curbs in big cities. The travel system comes with the SnugRide Click Connect 35 infant car seat, which is rated for babies up to 35 pounds—that means you likely won’t need another car seat until your little one is 18 to 24 months old. CR’s take: While other Graco strollers have fared well in testing, the Graco Aire3 Click Connect simply misses the mark. For starters, it has a fabric cup holder that’s permanently sewn to the child’s grab bar, and can’t be removed without cutting the stitching. In addition to being hard to clean, the cupholder is positioned in a way that makes it difficult to seat your child. The padded strap covers for the harness also get in the way of adjusting the fit. But the biggest issue this stroller has is with the crotch-belt portion of the harness—it tore at its anchor point during safety testing, and did so on a second sample when the test was repeated. If the strap breaks entirely, it can allow a child to slip out of the seat and potentially fall. 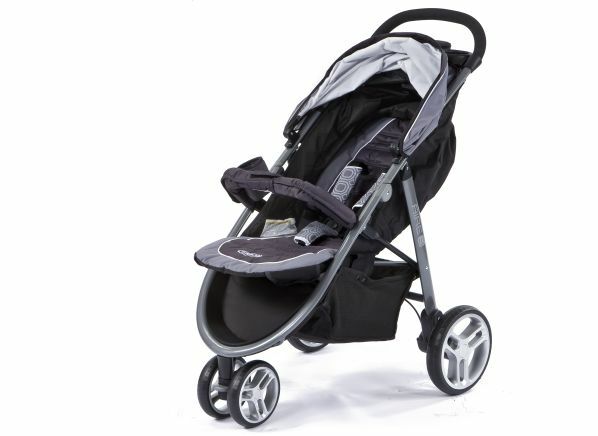 CR’s take: What would justify a $1,200 price tag for a stroller? You might expect such an expensive model to have extremely easy-to-use and intuitive design features. We didn’t find that to be the case with the Stokke Xplory, which is difficult to use and has a much steeper learning curve than most strollers. Its claim to fame? The height-adjustable seat, which lets parents position their child high up from the sidewalk for a better view. While that’s a nice touch, even our testers, who’ve evaluated hundreds of strollers over the years, routinely had to refer to the owner’s manual to operate the Xplory’s features. 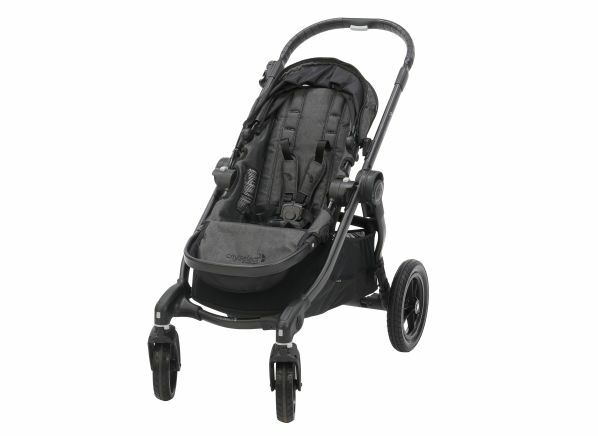 Another knock: At 28 pounds, it’s large, heavy, and bulky, particularly for a stroller designed with urbanites in mind. CR’s take: A travel system is meant to alleviate stress by combining a stroller and an infant car seat in a single purchase. But the Zobo Element is tedious to use. While you can find quick and easy slide-to-adjust straps on many strollers nowadays, to adjust the length of the Zobo’s shoulder straps, you have to rethread them, first making them longer, then pulling back and tightening by increments until the fit is right. The front swivel wheels also don’t lock. Taller testers complain that the handle, while adjustable, is still too low. And in our maneuverability tests, this model struggles on grassy surfaces.